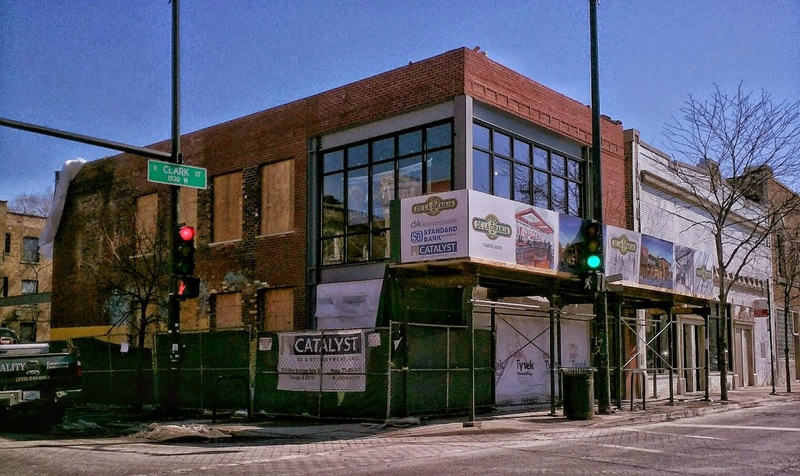 Work is progressing nicely on the upcoming Cantina de la Granja at Clark & Winnemac. Check out how the building looked just a few months back. The restaurant was hoping for an opening this spring but we are guessing it might be late-spring, early summer at this point. It is a welcome addition for Mexican cuisine for sure! 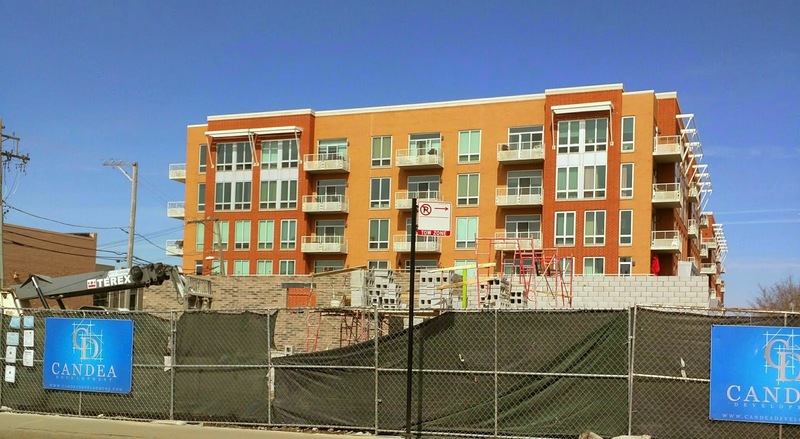 Just a bit south down Clark at Lawrence, Candea Development's "Andersonville Gateway" is beginning to rise from the long vacant lot on the NW corner. Candea broke ground on the project in December with all of the foundation being done since then. Expect to see this rise quickly! Cantina looks nice with that mix of modern and classic brick. I hope once it's all finished, that brick near the back will be cleaned and look as good as the brick in the front. I can't wait to ride my bike up there and try out some good margaritas (they will have margaritas, right? ).